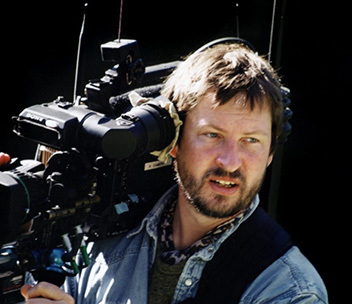 This May, the BFI celebrates the sometimes controversial, always innovative films of Lars von Trier, from the beginnings of his trancelike 'Europe' trilogy, to his self-styled Dogme 95 movement and his most recent assaults on mainstream cinema, including Antichrist and Melancholia. The media tries constantly to pigeonhole Lars von Trier; without success. 'Arch provocateur' may be the label that has stuck most intractably to the mercurial Danish director, but what's most flagrantly absent from this image of him as a publicity-seeking mischief-maker is his constant desire to re-energise and re-think filmmaking, something he's achieved in some way with every project. The gasps of incredulity that greeted his dedication 'To Andrei Tarkovsky' at the end of Antichrist, his shockingly primal 2009 examination of sexual revenge, similarly missed the point. For here is a director who creates a Stalker-like 'zone' – a deliberately unreal realm of possibility – for every film, even such ostensibly faux-documentary works as The Idiots. Von Trier knew from the start that to break away from Danish parochialism he would have to make his films in English. The trancelike journeys into post-Nazi trauma of his original 'Europe' trilogy, – The Element of Crime, Epidemic and Europa – track the director's agonised fascination with psychotherapy, and with his own troubled upbringing as a wunderkind in the postwar era. (He was raised as Jewish, by a Jewish father, only to discover – from his mother on her deathbed – that his biological father was instead a nordic type.) Having made those early works in the European arthouse tradition, he swept that approach aside and started again. Breaking the Waves looks superficially like grainy British social realism, but it's all about testing a belief in the miraculous. The Dogme 95 movement created by von Trier and Thomas Vinterberg, with its restrictive rules aimed at cleansing cinema of Hollywood blockbuster values, influenced Breaking the Waves, but not until the two directors took respectively The Idiots and Festen to Cannes in 1998 did the movement change the way much of cinema looked for decade afterwards. One hundred digital cameras captured the choreography in the Björk vehicle/postmodern musical Dancer in the Dark, which dominated Cannes in 1998, not only winning the Palme d'Or, but also sparking many incendiary debates. Three years later came Dogville, von Trier's frontal assault on Bush's America set in the Depression era and starring Nicole Kidman, which did away with filmic realism and caused another major international fracas. If The Five Obstructions, von Trier's rule-based challenge to Jorgen Leth, Manderlay, his sequel to Dogville, and The Boss of It All, his office-based comedy, are all fascinatingly complex sidebar experiments to his assault on mainstream cinema, Antichrist and Melancholia have put him back at the centre of the contemporary cinema of imagination. Looking back now, each of von Trier's films look like milestones of my time as a writer on film, marking the shifts in aesthetics, technology and perception of a whole era. Like his boyhood hero David Bowie in music, von Trier has mapped the changes that matter in cinema. The Lars von Trier season begins on 13th May 2013 at the BFI Southbank.